Safety is an important issue in any industry. This is most significant in the field of electricity and electrical engineering. The linemen, best epitomize the risk involved in the filed of transmission and distribution line engineering. They are at the forefront and front line of construction, repair, and rehabilitation of lines. They are at risk, both from electrical shock, mechanical hazards, and the height of the pole pose more risk for them. That is why, it is very important to focus safety on their daily tasks. This entry is about some of the personal Protective Equipment used by our Linemen, on their tasks. For use with a body belt component secured around the waist of the user such as a utility pole lineman. The safety strap and pole belt are coupled together at their midpoints, with the pole belt having buckle means at the ends for buckling the belt relatively closely around the pole. 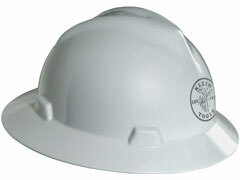 Hard hat is used to protect your head and skull from falling objects from up the pole. This is a basic PPE that everyone should use. Safety glasses are excellent for lineman or others that are exposed to electric arc. Safety glasses that are fully dielectric with no metal parts is a good protection from harmful UV-A and UV-B rays and are coated to offer superior scratch-resistance. 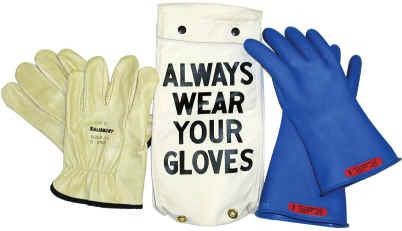 Rubber insulating gloves for electrical workers are one of the most important items for personal protection that you require. The excellent insulating factor of rubber along with the high dielectric, physical strength and flexibility has earned it the reputation of providing a superior performing rubber insulating glove. Dielectric overshoes are worn by workers who are around electricty. 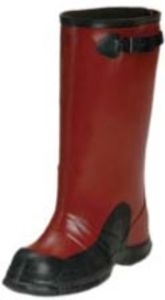 Dielectric overshoes are rubber shoes worn directly over the top of normal shoes. They are worn by people who are at risk of electric shock due to working, or contact, with live electricity like linemen.